Dear Evan Hansen is coming to a city near you! 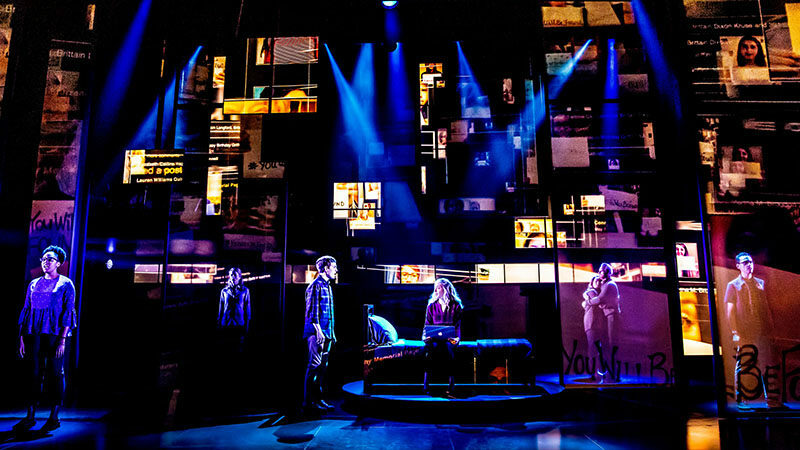 The 2017 Tony Award–winning musical Dear Evan Hansen is about to embark on a national tour. The musical — which has struck a chord with critics and audiences alike and is still going strong on Broadway — features a book by Tony winner Steven Levenson and direction by celebrated theater leader and four-time Tony Award nominee Michael Greif. 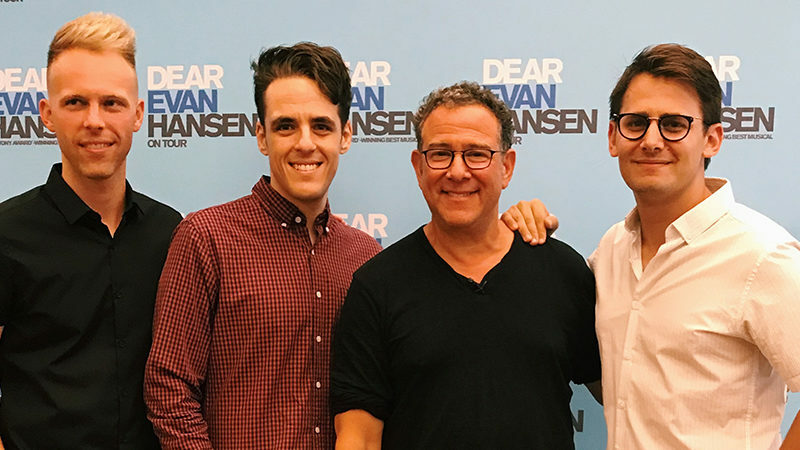 NY1 entertainment reporter Frank DiLella recently caught up with Levenson and Greif during break from rehearsal to talk about the hit musical and prepping Evan Hansen for the road. Dear Evan Hansen has been on quite the journey since the show had its world premiere in 2015 at the Arena Stage in Washington, D.C. Are you guys surprised at how it’s been received? STEVEN: I have yet to be surprised by the way the show has been received. When we began writing the show we didn’t know what we were making; we knew we had a story that we were passionate about and characters we believed in. We just didn’t know if we had an audience for this story. But all along the way people supported us. MICHAEL: I’m gratified by its remarkable reception. You can’t anticipate anything. I’ve never been involved in something that had greater potential for this kind of success. I just thought this was the most remarkable story and I felt so fortunate to be teamed with such extraordinary storytellers and cast. There was a lot of optimism from the very beginning. Michael, you told me way back when that you wanted to direct Evan Hansen because of composers/lyricists Benj Pasek and Justin Paul. MICHAEL: I had met them when I was doing Next to Normal and they were observers into my rehearsal process. I met them and did a little research into their material, and I found them bright and extremely interesting. And I listened to their material and I thought it was terrific. So when I got the call from Stacey Mindich, the show’s producer — “Will you come in and talk about this musical that Pasek and Paul are composing?” — I thought these are really remarkable young talents and I needed to do this. Dear Evan Hansen won six 2017 Tony Awards including best musical. When did you know you had a hit on your hands? STEVEN: I remember being in tech on Broadway and walking out into the lobby of the Music Box Theatre and seeing someone in line to buy tickets. And I ran back in to tell Benj Pasek that I saw somebody — who I didn’t know — buying tickets to the show and I was so excited. You go to a Broadway house and you look at all the seats and you think, “Man, there’s no way we’re going to be able to fill this.” And when that started happening, that was amazing. What’s been the most rewarding experience to date with this show? STEVEN: I think it’s been cumulative for me. There’s the reward of working on it and getting to know these artists who I work with, and the actors, and introducing new cast members to the show, and to see their take on the material. Speaking of the cast, your original Broadway cast was such a family. Tell me about your national tour family. MICHAEL: I can say that the tour company is fantastic. They’re talented, courageous. We all have the advantage of knowing what the piece is. This group is particularly terrific in accepting things that the creative team has learned over the years; we’re letting this group find themselves in the characters. STEVEN: We took a long time to put together this cast. We saw the best people and found the best people for the roles. We felt like we wanted to find special and incredible actors for these parts. And the actor we found to play Evan was actually on Broadway at the Music Box Theatre. 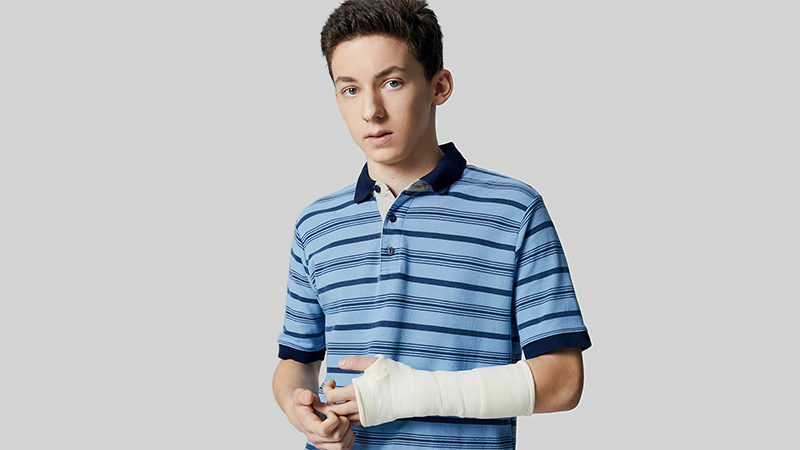 He was understudying the role of Evan and has been doing that for a few months: Ben Ross. I was at the first read-through the other week for the tour and I was just blown away by the talent in the room. The character of Evan — it’s such a demanding part. Ben Platt originated the role on Broadway; tell me about Ben Ross’s take on it. STEVEN: I remember his first audition when he came in to read for the understudy role. There’s something about everyone who’s played this part; everybody has something incredibly unique about them. There’s a quality about all these actors, you can’t take your eyes off of them. And Ben is one of those people. He tapped into so much of the part — the humor, the anxiety, and the pathos — but he also brings with it his own brand of pathos and anxiety and humor. MICHAEL: I think we saw enormous potential in Ben from the very first time we met him. I met Ben for an audition for a play he didn’t get, but he made such an impression on me that I called [Hansen casting director] Tara Rubin to find out if he could sing, and it turned out he could sing beautifully. And we kept a close eye on him and we all saw enormous potential. Any changes to the tour vs. the Broadway production? STEVEN: No. But looking at the script, a few things have crept in over time — little quirks that the original actors created along the way — that have made it into the script. Michael, you’ve been connected to some groundbreaking work over the years: Rent, Next to Normal, Dear Evan Hansen. Where does Evan Hansen fall when you rank your catalog of work? MICHAEL: I love that trio and I hope to add to it. But I love that they’re all musicals about serious issues. In some way they’re all family stories. Although the family in Rent is a chosen family, it’s still a family. I really like that there’s been a continuum with the use of contemporary music in these musicals, serious themes that reflect the moment they were written in, and they’ve taken on subjects that haven’t been taken on in musical theater. Mental illness, mortal illness — I think they’re linked in that way — and I hope to remain involved with musicals of the future that reflect their moment as truthfully and as vitally as those three musicals. 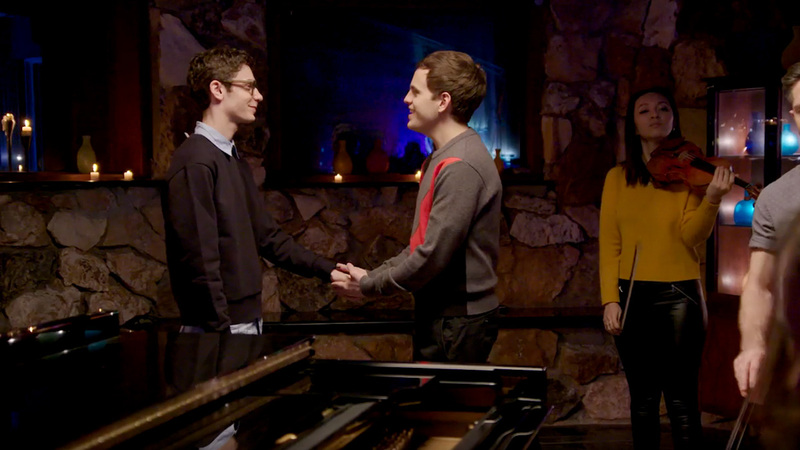 Over the course of Dear Evan Hansen, whether he knows it or not, Evan changes the characters he comes in contact with. How has Evan the show changed you? STEVEN: Beyond the fact that it’s made so many of my dreams come true, the fact that I get to go to 45th Street and stop by the Music Box Theatre and walk backstage eight times a week if I want to — and the fact that audiences are still being moved by the show and the cast is telling that story — it’s a profoundly moving experience. As a playwright, I’ve never had something of mine run more than three months. But the fact that it’s been on for more than three months is magical. On a personal and emotional level, when I started writing the show I wasn’t a parent, and during the show I became a parent. My wife and I had a daughter. And I think there’s something symbiotic about making a story about children and parents and becoming a parent, and I’m not quite sure about the one-on-one of it and how it all works but I’m pretty sure they’re connected. And I’ve learned about the challenges and joys of being a parent by getting to live in the world of Evan Hansen. MICHAEL: The breaths and the generosity of this material does effect and change me. The care that the writers have imbued in the writing of the characters and playing of the characters and the trust they’ve put in me to manage and guide all those very careful and fragile relationships makes me feel that much more worthy and responsible.